The PHX Velocity 2 full-faced sports helmet is specially designed to maximize performance at high speeds by minimizing wind resistance while maintaining an optimized airflow to the ventilation system. 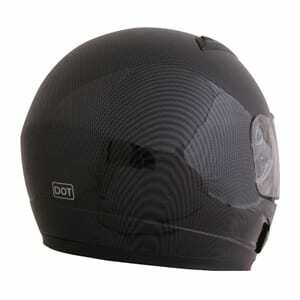 Amongst the lightest helmets in its class. Advanced ABS structure, treated hardware and advanced moisture/heat resistant adhesives yield a performance blend of durability and lightweight construction ideal for competition or recreational use. Phoenix exclusive 4–point ventilation system, providing maximum air transfer with built in dust filtering. Each vent can be opened, closed or semi-staged to accommodate all riders, temperatures and riding conditions. 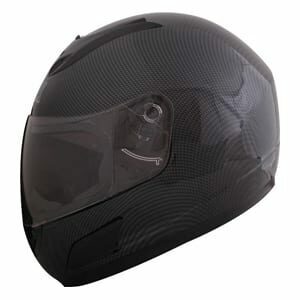 Full range high density face shield offered exclusively by Phoenix provides advanced rider safety. All shields are removable, replaceable and can be upgraded to our tinted, reflective and colored models. Interior padding ‘jaw liners’ are snap-removable and machine washable. Reinforced multi-fabric neck roll provides additional support and improved weather seal for maximum comfort and noise reduction under any conditions. The adjustable interior padding is engineered to minimize shift during riding, ensuring a comfortable and secure fit for all riders.